When it comes to breaking boundaries, Channel 4 is often at the forefront of televisual change. The network’s most recent brand identity update is no different and puts them as a trailblazer of design. The whole refresh intends to unite the network’s sub-channel and achieve a consistent and cohesive brand identity. With multiple channels available, the goal is for audiences to recognise the ‘4’ brand identity as their viewing habits change. 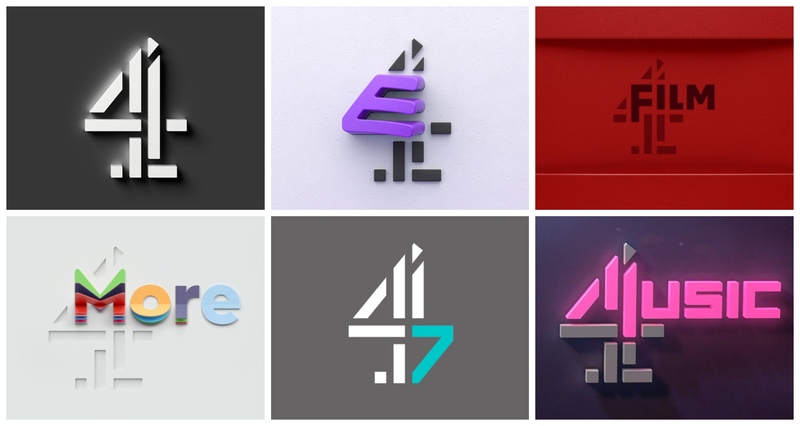 The brand refresh includes sub-channels, E4, Film4, 4Music, More4 and 4Seven. These have each been adapted, whilst ensuring each has its own distinctive personality based on its offering. 4Music for example, retains its pink nightclub neon glow with the addition of the M’s clever integration into the 4. The same goes for the minimalist 4Seven, with the 7 being tagged on to the end of the single 4 digit. All credit goes to the network’s in-house creative 4Creative – might be four by name, but number one when it comes to this project. Thinking of rebranding yourself? Contact the Rocket team and we’ll be more than happy to discuss your requirements. We certainly have the evidence in our branding portfolio.